We offer an extensive range of Pig Iron to our customers. These are developed using the premium quality material and advanced technology. Keeping the diverse requirements of the customers in mind, our company is involved in offering superb quality range of Nodular Pig Iron. - Our Group produces Pig Iron of customer choice with a 215 m3 MBF of TRF design of Brazil, at Kharagpur & producing about 2, 00, 000 ton per year. Grade : Basic/Steel Grade & Foundry Grade. 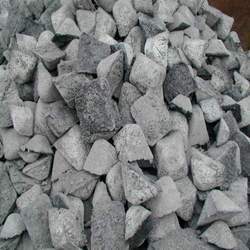 We are offering a wide range of Pig Iron.These are widely demanded by steel mills for manufacturing various steel related items. Our product is available at market competitive rate. Intermediate product of smelting iron ore with a high-carbon fuel resulting in a high carbon content of typically 3.5–4.5%. Goyal Iron & Steel (Nagpur) Pvt Ltd, the flagship company under Goyal Group is one amongst the earliest and largest suppliers of Pig Iron to each Foundry Hub in entire India. The company has a very strong sales network to cater to customers in every geographic sphere of India. aproduct in solid (lumpy) form obtained upon solidification of hot metal in pig casting machine. 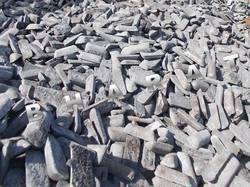 Pig Iron is used for production of cast iron casting and steel. Pig iron produced by Swati Group always reaches the benchmark of exacting product and quality standards. The company offers products which contain low sulphur and phosphorus grades. Swati Groups Pig Iron is ideally suited for specialised applications such as pressure tight precision castings, crankshafts, gears, rolling mill rolls, and generator housings. We are engaged in offering a wide range of Pig Iron that is manufactured using quality steel at the manufacturers' end. These are available in various sizes, shapes, and other specifications to suit varied requirements of our valued clients. Sharma Iron & Steel Co.